Just finished the second box set of "Batman The Animated Series" that i got for my birthday, and its been real interesting. I hadn't seen it since the 90's and i was surprised at how word perfect i was on a lot of the tales. Even more surprised at how bad it looked. Okay, i'm not watching a remastered Blu Ray edition and i am watching it on a 50" Plasma, but: a lot of the animation looks REALLY crude now. And i don't mean them emulating the Fleischer shorts of the 40's - which is still commendable - rather that a lot of sequences look very clumsily done, a lot are very badly focused, and i gave up on how many times i saw a hair in the gate. But, still a fantastic show, with characters incredibly close to their comic conterparts, an excellent Bruce Wayne and a just as good Batman. Okay, a few of the tales are a bit duff but, apart from the animation flaws, still holds up. 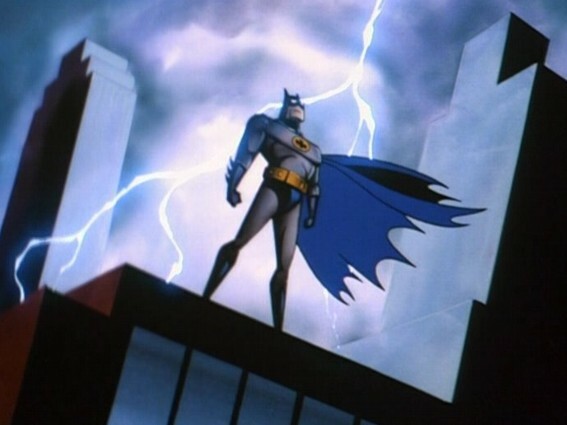 Today i've introduced the Sprogs to the later "The Batman" series which, again, i've not seen in a while. Maybe its unfair to watch it straight after the above, but its striking at just how good the animation is compared to that. 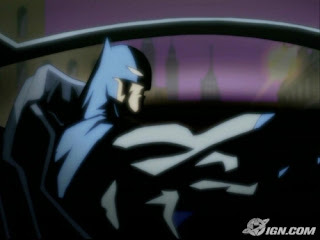 Plus, i love the look of Batman, with his blunt, no-nose cowl and can take the bull-necked Bruce. Hard to take though are the villain redesigns, which seem unnecessary except from a merchandising point of view and the hideous, very annoying "Batwave" alarm. Thinking about the two of them together, they both have their good and bad points so, if i had to choose which is my favourit, i'd say, right now, its a draw. Here's the two opening credits to compare and contrast. What do you think?